Listed below are frequently asked questions (FAQ) that many of our clients ask. If you should have a question that is not here about building a home in Idaho or even in another country, do not hesitate to email us at corey@idaho-home.com or call us at 208.280.3333. We will gladly answer your question. What is a custom builder? Generally speaking a custom builder, builds on your lot or provides the lot and builds "one of a kind" homes, from plans designed specifically for you. They also build 25 homes or less per year and build only high end homes. Is One World Builders licensed to build in Idaho? One World Builders is licensed and registered (Idaho Contractor License No. RSE-12503) to build your home in the state of Idaho. Where do One World Builders build? Our team generally build in select areas of Idaho that includes Boise, Tamarack, Twin Falls, and Ketchum/Sun Valley. However, we do build in other parts of Idaho as well in other parts of the world (see "International Builder" section). For other locations in Idaho and throughout the world, please contact us for further information at 208.280.3333. What does a home cost? The cost of building a custom built home with One World Builders usually starts at $400,000 and up. This price depends on a variety of factors, including cost of lot, square footage, and the final features and finishes used in the building of the home. Please visit our "Pricing" page for more information. Can I build on my own lot? Yes you can, although One World Builders owns construction ready lots, you can build your own home on your own lot locally as well as internationally. When construction begins what is my role? While your custom home is under construction, there are a few key things that you could do. 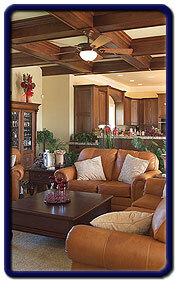 One World Builders (idaho-home.com) is one of the premiere custom home builders in Idaho. 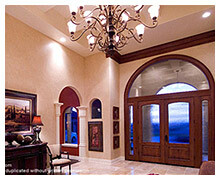 Our emphasis is building custom homes in the Twin Falls, Ketchum/Sun Valley, Tamarack and Boise area. 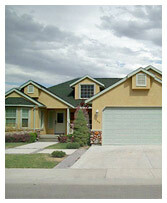 We also build in other areas of Idaho as well as worldwide. Our team at One World Builders are there from the initial consultation, to the completion of your home, We do what we do well, building quality homes for great clients.